In an earlier post, the six attributes of a trauma-sensitive school were introduced. This is the second in a series of blog posts that will delve deeper into each of the individual attributes. The second common attribute of a trauma-sensitive school is that the school supports all students to feel safe-physically, socially, emotionally, and academically. A child’s traumatic response, and the associated difficulty in learning, are often rooted in real or perceived threats to his or her safety, undermining their fundamental sense of well-being. Because of this, it is important that the school focuses on helping all students feel safe, not just in their classrooms but also on the playground, in the hallway, in the cafeteria, on the bus, in the gym, and on the walk to and from school. Physical safety is clearly important, but so is social and emotional safety. Critically important as well is that children feel a sense of academic safety. Children need to feel safe enough to make mistakes as they are learning, rather than cover up any gaps through distracting behavior by withdrawing. Educators in a trauma-sensitive school understand that helping students undertake what may feel like a risk to them, like volunteering an answer to a math problem, can happen only in a classroom where every child knows that his or her contribution will be respected by adults and peers. And they recognize that students with seemingly unquenchable needs for attention may not respond to approaches that merely ignore the behavior because these students may in fact be looking for reassurance that they are safe. Children can feel unsafe for a wide variety of reasons. They may bring with them to school traumatic effects from past experiences—some of which they may have been too young to remember—or have pressing fears that are related to their current experience in school, such as bullying. They may be afraid of ongoing events outside of school—an unsafe home or neighborhood—or be preoccupied with worry about the safety of a family member or friend, reinforcing the notion that their own security may be threatened. Structure and limits are essential to creating and maintaining a sense of safety for every student and staff member at school. With careful planning, every adult in a school can work together to provide a blanket of safety comprehensive enough to cover every space and every person in the school and enforced no matter what. We are referring to structure and limits that provide a sense of safety through predictable patterns and respectful relationships, with adults in charge who convey confidence—through tone of voice, demeanor, a calm presence during transitions, and in other subtle and overt ways—that they will maintain each student’s feeling of safety in the school. Traumatized children benefit from classrooms that they know are physically and psychologically safe. A careful and thoughtfully developed plan means that all of the adults in the school can work together to provide a blanket of safety comprehensive enough to cover every space and every person in the school. Established routines and positive responses are important for all children, but they are particularly helpful for traumatized children, who need a school environment that is predictable and safe in contrast to life at home. Children who have experienced traumatic events can easily be thrown off by sudden changes in schedules and routines. 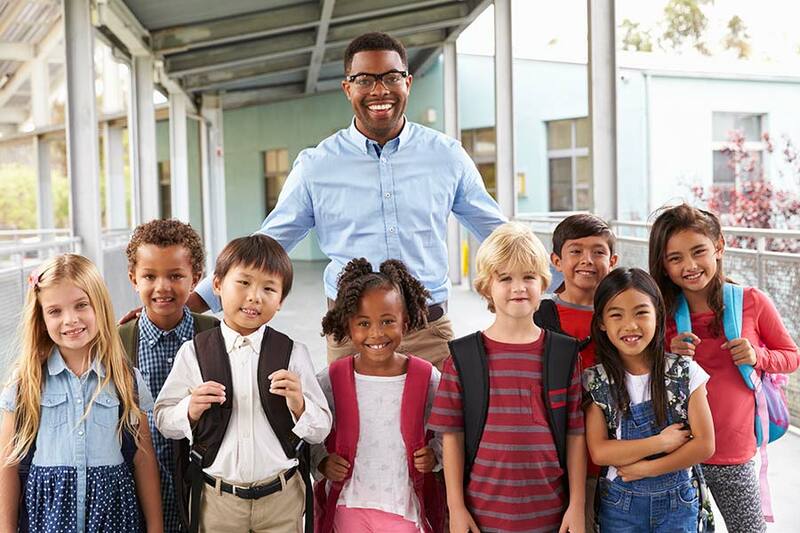 Creating a safe and supportive learning environment, requires predictability and this can be enhanced by clearly communicating schedule changes, previewing new people and places, reminding children about uniform reinforcement of rules across the building and having systems in place that help resolve conflict in appropriate ways. How has your school worked to be a physically, socially, emotionally, and academically safe place for students? What were your school’s biggest successes and challenges in this process? As our school becomes trauma informed, our biggest successes have been using other students and teachers to build relationships with kids in pain. Examples of this include: Having a teacher that a child has formed a bond with (just from saying “hi” each morning) take the student for a walk for 5 minutes each day during his prep; having 5th graders help get a kindergartener ready for dismissal; Allowing students to go visit previous teachers and help out in their classroom when they need a break; and encouraging Reading Buddies. Using the resources we already have (students and teachers) has been one way we have adjusted what we do. Thank you for the comment and for sharing the great ideas and strategies. It is so important to to help students build connections at school so that they can actively engage and build community.